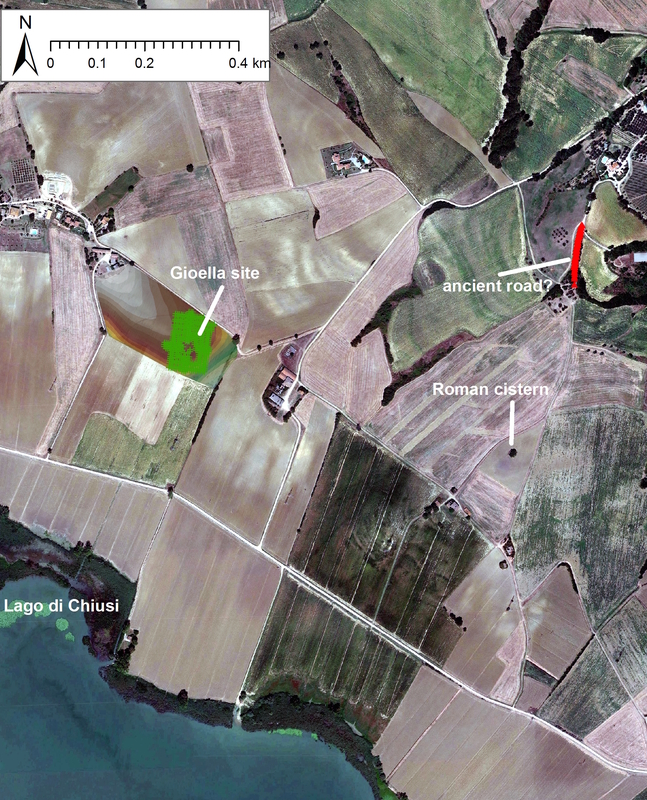 The last two years of campaigns in the territory of Castiglione del Lago have revealed significant archaeological remains; the 2015 survey located a Roman building complex and a possible Roman road. The goal of the campaign as a whole is to assess the original pattern of human impact in the entire territory, and understand its development since antiquity. Umbra Institute’s mission is to develop our students’ expertise in the full range of methods and processes employed in a complete archaeological project, from research design, to methods of data collection in the field, to the cataloging and display of archaeological remains. Working with professional archaeologists, our students will have the opportunity to actively participate in each of these activities and learn the necessary skills: from preliminary survey of the territory in order to locate and characterize archaeological sites, to the processing and analysis of the data collected during the campaign. Investigating the archaeological heritage of this landscape, our project provides an instructive example of how different civilizations built upon one another in the same geographic area. You can read the research report from last summer (2015) here. In keeping with the Umbra Institute’s academic philosophy, the Archaeological Field School is collaborative and aims to involve the community of Castiglione in a long-term relationship. Students will collaborate with a local archaeological association and will help the municipality of the town to catalog findings and establish a new archaeological museum. Students will live in modernly furnished studio apartments (2-3 students each) directly on the lake shore, a short walking distance from supermarkets and the archaeological site. All apartments include furnished kitchens. Castiglione has a lively local community which students will get to enjoy on a daily basis. A renowned summer location, Castiglione is an international venue for relaxing vacations, swimming and sun-bathing on its beaches, or for practicing a variety of sports: cycling, sailing, wind- and kite-surfing, canoeing. The beautiful hills surrounding the area offer opportunities for hiking, mountain-biking, and horseback riding. Bus and train services directly connect Castiglione to other cities, including Rome and Florence, making it easy to travel over weekends. Program Fees Include: Academic program, housing, airport transfers, Resident Director, orientation, use of facilities in Castiglione del Lago, Umbra-sponsored cultural activities, and official transcripts. Program Fees do NOT Include: Airfare to/from Rome, meals, lab fees (for a total amount of € 250), and personal expenses. Deadline for application is April 1st, 2016. To receive additional information or to be contacted by an Umbra representative, please visit: http://www.umbra.org/academics/archaeology-summer/.